Run Pan_API_Configuration.exe from your system. Fill all the credential and generate a configuration file(.cnf file) for your system. 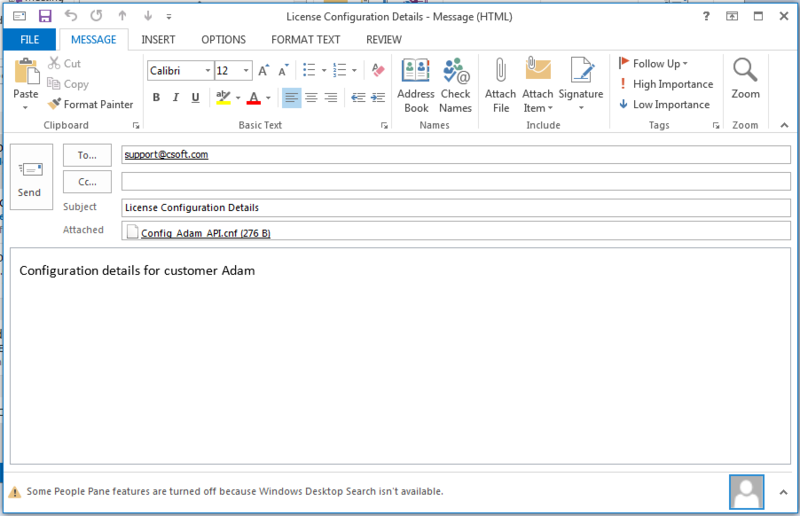 Save the Configuration and/or send us the file by email to generate your license. 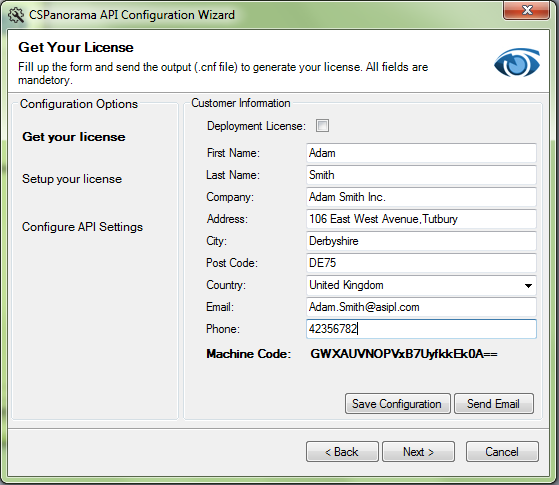 In Setup your License section, browse the valid license file received from us and upload the license into CSPanorama API web service. The wizard will show the most important features of the license. You can also use the Configuration API Setting section of the wizard to setup other required variables of the CSPanorama API. Refer to the image below for details. Alternatively, you can use the following manual steps to configure the API. Install CSPanorama Viewer service (.SVC Service) in your IIS (Default Port). In the web.config file of the hosted service set the default path from which the files will be viewed. In the web.config file of the hosted service, edit the ‘LicFilePath’ key and set the value to the path of your trial license file. In the web.config file of the hosted service, set the path of the log file by editing the value of ‘errorLogpath’ key. In the web.config file of the hosted service, set the path where the annotation files will be saved by editing the value of ‘annotationFolderPath’ key. Open the sample “SampleAPIApplication.sln” in Microsoft Visual Studio* from the Example folder where you have installed CSPanorama API. Before running the application, make sure to comment out the below section and put your development license in the AddLicense method. Create a div in your web application and set its ID to “Panorama-Viewer” to display the CSPanorama viewer in your application. You can design the viewer as per your wish but you can’t override any property of the div “Panorama-Viewer”. 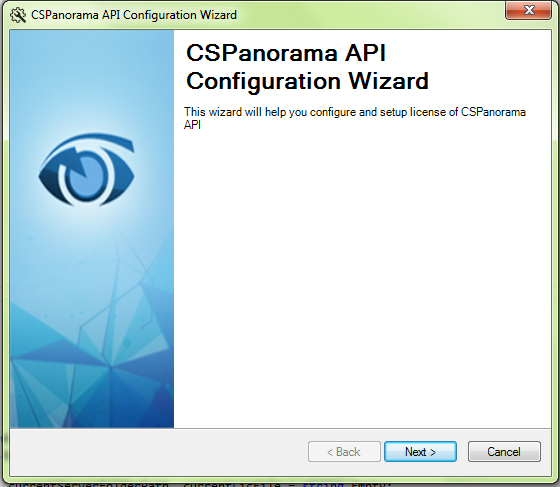 Put your CSPanorama API development license key along with your application. 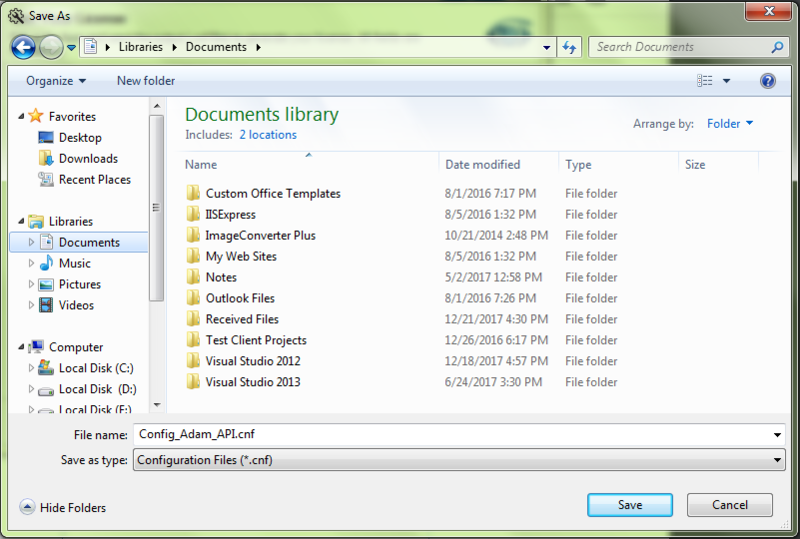 In your application add the two dll as mentioned below and call the method. In the example application provided, inspect the method FileMetaData(). Put all the essential CSPanoramaAPI methods step by step as shown below to get the file viewed in your div. Call this method in any event to connect with the service to receive the required response.